This cloth is from the Karo Batak people of north Sumatra in Indonesia. 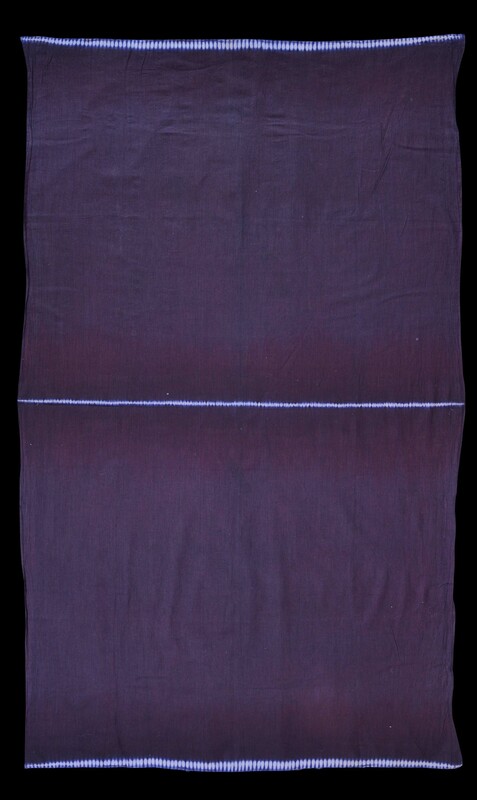 It has been decorated with the rarely seen batu jala design and is made from machine-made commercial cloth that has been dyed with an indigo blue-black colour with three rows of resist patterning. The term batu jala relates to the small stones attached to the bottom of a throw fishing net. The stones allow the net to sink into the water. A related example is illustrated in Niessen (2009, p. 211) who says that one use for the cloth is as a headcloth (tudung) used by unmarried women and girls on ritual occasions such as mortuary rites. The cloth is in fine condition without fading or insect holes. 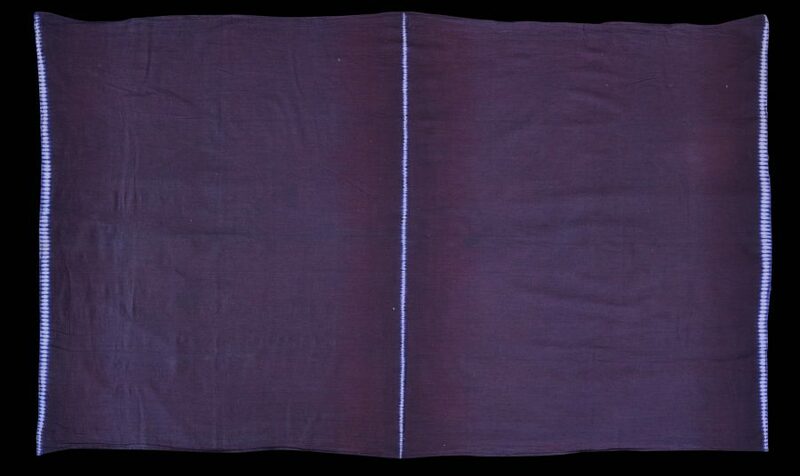 Niessen, S., Legacy in Cloth: Batak Textiles of Indonesia, KITLV Press Leiden, 2009.